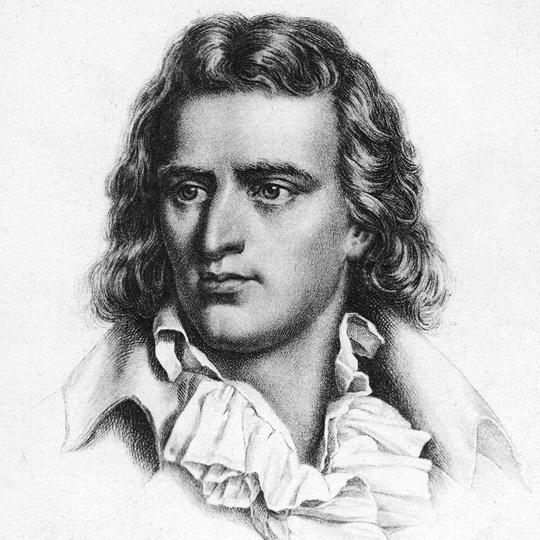 Schiller was the only handsome philosopher. "We know that man is neither exclusively matter nor exclusively spirit. Accordingly, beauty, as the consummation of humanity, can be neither exclusively mere life, as has been asserted by sharp-sighted observers, who kept too close to the testimony of experience, and to which the taste of time would gladly degrade it; Nor can beauty be merely form, as has been judged by speculative sophists, who departed too far from experience, and by philosophic artists, who were led too much by the necessity of art explaining beauty; it is rather the common object of both impulses, that is, of the play instinct." --Schiller, "Letters Upon the Aesthetic Education of Man"
"As in Puritan New England, grace was not blithely attained. A believer--a runner--earned it by losing toenails and training down to bone and muscle, just as the Puritans formed calluses on their knees from praying. No one made a cent from their strenuous efforts. The running life, like the spiritual life, was its own reward." Runners know matter: body, flesh, sweat, gristle, blood, muscle, and bone. Runners know spirit: will, desire, pain, hope, fear, and joy. Experience comes, shot at us, a muddled blend of both matter and spirit. Though it is mixed thoroughly in its primary apprehension, if we turn our attention to it, we can trace it back to these two origins, neatly categorize it. Schiller had an idea that the task of education was to keep these two types of experience in play. He called this harmonizing play beauty, and he thought that it was the highest end of human affairs, the fundamental way of evaluating experience. Positive experiences allow us to harmonize matter and spirit; they are beautiful and educative. Negative experiences create discord and antagonism between matter and spirit; they are ugly and miseducative. This, for Schiller, is what life is all about: spirit, matter, play, harmony, beauty, education. At the present moment, 2012, with the economy as it is, politicians and their acolytes yapping at each other, the news stations and the advertisers stirring up our jangled nerves, social media reminding us just how little we have in common with our "friends," thinking of life in terms of harmony and play seems totally out of place. The idea of beauty itself is almost impossible to square with our present condition. "The purpose of mankind is beauty?" "The harmony of spirit and matter in play?" Please. To paraphrase one of the great philosophers of our day: "How's that spiritey-mattery stuff workin' out for ya?" It's an ugly moment, socially. The fact that Schiller's thoughts are so out of whack with our current ways of thinking is why it is important to read him and other philosophers. These untimely and out of place thinkers give us the courage to think against the grain of our current moment, to create something new. If we follow Schiller's lead, we turn away from the things that we are told are most important. Apart from politics, taxes, money, and power, we find small moments of beauty scattered about. A sparrow in the wind. The smell of a home-cooked meal. An unexpected kiss or glance. Brandt writes that "the running life, like the spiritual life, is its own reward." He gives us imagery of the harmonious unity that the runner creates out of the material and spiritual selves. The body, trained down to essentials, mirrors and reflects the soul, trained down to essentials. It sounds odd, at first, to say such things about this constant scampering down the road. But runners know matter and runners know spirit. They know them together: body, will, flesh, desire, sweat, pain, gristle, hope, blood, fear, muscle, joy, and bone. If that's the case, then in these times you might think of running as a type of civil disobedience, a rebellious practice of education against the dominant forces of mis-education. Running is energy dissipated not for money or power or privilege, but for beauty. Like reading Schiller, it's hard to explain the practical value of running in a world that seems deadset on winners and losers, discord, chaos, and strife. Its practical value is play--the impractical grace of beauty. Stride by stride, effort by effort, we stitch the two sides of experience together, matter and spirit. We ride, we flow -- that's play; that's grace; that's beauty. Despite the politicians, the economy, the wild and alienated swirl of contemporary life, despite the fact that everyone tells us we ought to be doing something more productive with our lives, we end up making time to play. We can't help it. It's called being a human. I thought this post was going to be about how runners are ugly! So runners are aesthetic since they unite matter and spirit. Is there a difference between art and aesthetics? It seems like a lot of art is serious, not playful. Take the play of children, for example: they are *serious* about their games, which doesn't mean they don't laugh while they play them. You're right, though, runners are an ugly bunch, running around the city in our underwear. "despite the fact that everyone tells us we ought to be doing something more productive with our lives, we end up making time to play." And our play is harder than 'their' work. But what JOY! tonight on the way home, i passed through what some developer had optimistically labeled "apartment homes". these blocky, three story buildings were surrounded by small bits of grass, and large sections of asphalt. across one of the patches of grass, someone was moving - moving swiftly, on foot. "now, there's a nice stride," i thought, "but an odd place to go for a run." his stride was powerful, yet graceful - relaxed. as i drove by, closer, i realized he was younger than i had originally thought - only about 9 years old. and, he had something in his hand - one of those cardboard tubes that comes from the middle of a roll of giftwrap. just then, he turned towards me, a big grin on his face, and yelled over his shoulder at a group standing on the pavement. ah... i understood: this was not an athlete out for a run - this was just a kid running. no heart monitor, no gps watch, no fluid belt, no special equipment at all - well, that is, unless you count that cardboard tube. his only concern with pace was staying ahead of whoever was "it". his only concern with time was that it would be dark soon, and he'd have to go inside. I remember reading that story, and you are right, it is apt. I like how your story includes both the scene of the boy running and then later your reflection on the scene. I think this demonstrates nicely Schiller's point about how the mind, the spirit, wants to make sense and understand in some way the material that experience presents. "ah... i understood." This, for Schiller, is an aesthetic moment, marked by the "ah" when the mind harmonizes with the material of experience. So, not only is the boy lost in play, but we see in the telling of the scene and the coming to terms with it *your mind* also at play, piecing this experience together into unity for us. I've been a fan of your blog for some time, but I think this is one of my favorite postings. Good stuff, keep it up. Hey thanks, anonymous poster! Glad you've kept reading. Your post made me smile. Thanks for bringing some beauty and joy to us. for heaven and the futures sakes"
Excellent stuff! I am reading Emerson right now for the class I am teaching, and it feels like Frost was reading Emerson for inspiration too. Wow, you really nailed it. Why do I (a mother of twins on the doorstep of middle age with little talent and little time) continue to run? I just read the answer in the last three paragraphs of this post. Hey Terzah, thanks for the props. Long may you run! Ryan Hall, Tim Tebow, and Martin Luther King, Jr.